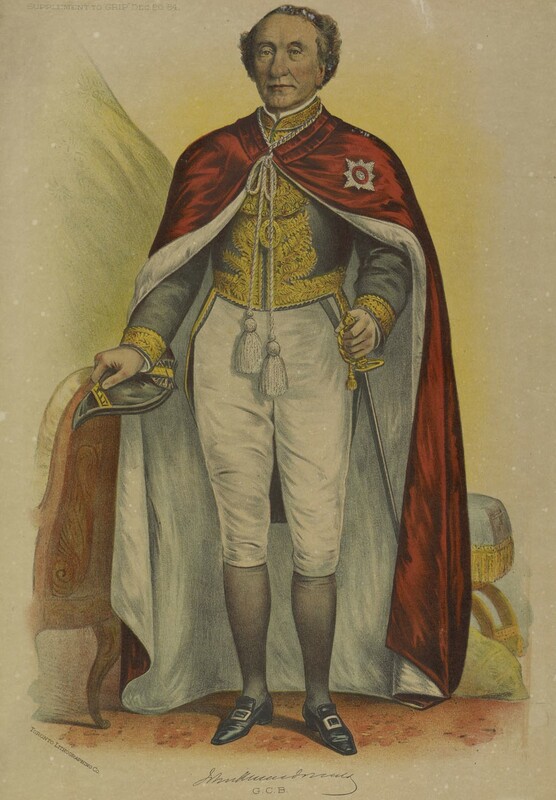 William Bengough’s lithography represents Sir John Alexander Macdonald in ceremonial knight dress (1884). © Library and Archives Canada, W.H. Coverdale collection of Canadiana Manoir Richelieu collection, e010958405. Canada’s first Prime Minister, John A. Macdonald, was knighted in 1867 by Queen Victoria for successfully leading the Confederation. Under his governance, the country’s future, the interests of wealthy railroad investors and the Conservative Party’s finances were all tangled together. Some stakeholders found themselves in the midst of political scandals, while others received the titles of Sir or Lord for their service to the British Crown. Isn’t it rather curious that Macdonald, who had such difficulty with the French-speakers of Lower Canada and the Prairies, adopted Saint-Patrice (Rivière-du-Loup) as his summer holiday place?